Here is a great way to get started in coin and currency collecting. Hobbymaster's own "Classic" Coin Album is a neat, trim size. It is a practical, affordable way to keep your collection organized, protected and easily accessible. 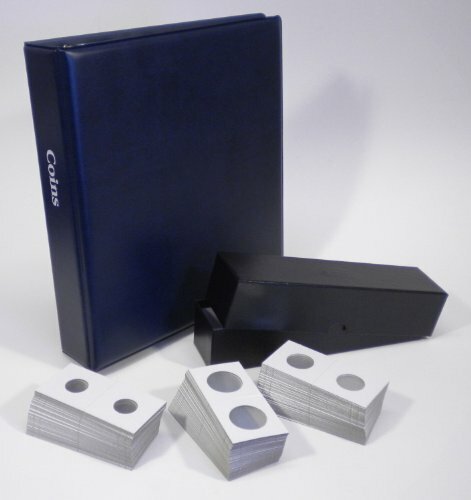 Fifteen 20-pocket pages are included to hold up to 300 coins in standard 2" x 2" flips (150 assorted sizes included). Just set your coin in the plastic window, fold and staple closed (stapler not included). Pages are archival safe with no acid, vinyl or PVC to damage your collection. The U-V barrier adds even more protection. The binder is a trim 2½" thick with a clean, attractive look. Pages turn smoothly on positive-locking D-rings that keep the pages neatly aligned. Also included are ten 4-pocket currency pages and a handy Coin Box to store coins in flips. It has all the coin collection supplies you need to get started including coin holders, currency holders, cardboard coin flips and a coin box. Also provides coin storage for foreign coins and foreign currency. Better than coin folders, the pages in this album let you organize your coins however you want, and move them around any time. 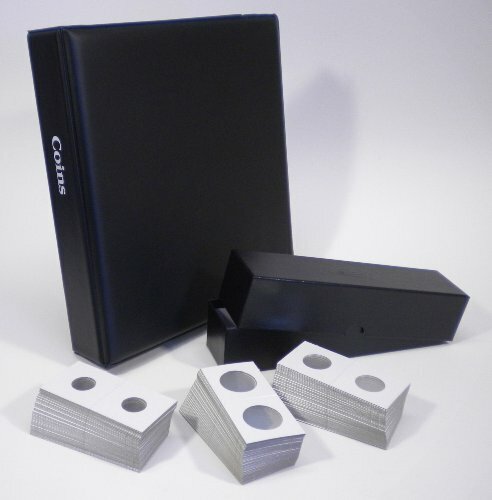 It is a coin album and currency album in one, like a display case for your coin collection. (Coins and currency not included.) Album and pages made in USA. Truth Fanatic Coin Collecting Starter Kit AWESOME coin collecting starter kit for kids, teens, adults, seniors - includes interactive cd ROM by Truth Fanatic - Perfect Gift Giving Idea Includes:(1) Deluxe 2x3 frosty case features a flag backdrop with holes for a P-mint and a D-mint State Quarter. 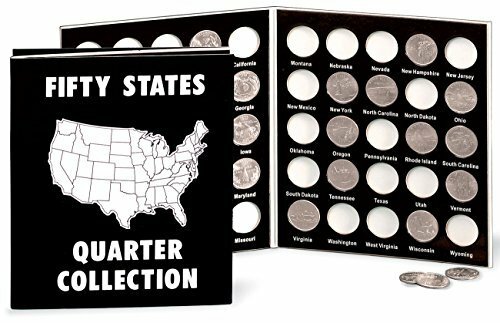 (1) Littleton state quarter folder - holds your coins securely and are 6 1/2" x 8 3/8" to easily fit on your bookshelf. Green leather-look with gold embossing on exterior. (10) 2x2 yellow paper coin envelopes - These small envelopes have long been popular for storing coins up to silver dollar size. (1) Interactive CD Rom - Coin Collecting Treasures by Truth Fanatic: Some Fun Facts About Coins, Coin Collecting Glossary, Beginning Your Collection, What To Collect, Storing Your Coins, Tools Of The Trade, Amassing Your Collection, Handling Your Coins, Cleaning Coins, Grading Your Coins, Determining Your Coin's Value, Pricing Coins, Most Requested Coin Values, Expensive Coins, Kids And Coin Collecting, And Much More! Here is a great way to get started in coin and currency collecting. Hobbymaster's own "Classic" Coin Album is a neat, trim size. It is a practical, affordable way to keep your collection organized, protected and easily accessible. 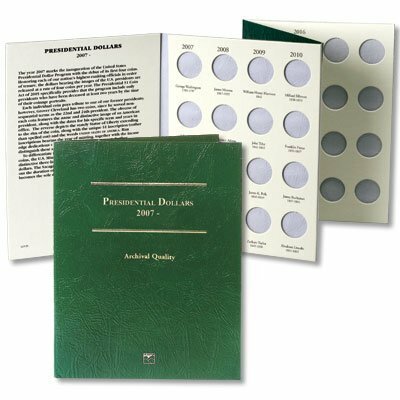 Fifteen 20-pocket pages are included to hold up to 300 coins in standard 2" x 2" flips (150 assorted sizes included) Just set your coin in the plastic window, fold and staple closed (stapler not included). Pages are archival safe with no acid, vinyl or PVC to damage your collection. The U-V barrier adds even more protection. The binder is a trim 2½" thick with a clean, attractive look. Pages turn smoothly on positive-locking D-rings that keep the pages neatly aligned. Also included are ten 4-pocket currency pages and a handy Coin Box to store coins in flips. It has all the coin collection supplies you need to get started including coin holders, currency holders, cardboard coin flips and a coin box. Also provides coin storage for foreign coins and foreign currency. Better than coin folders, the pages in this album let you organize your coins however you want, and move them around any time. 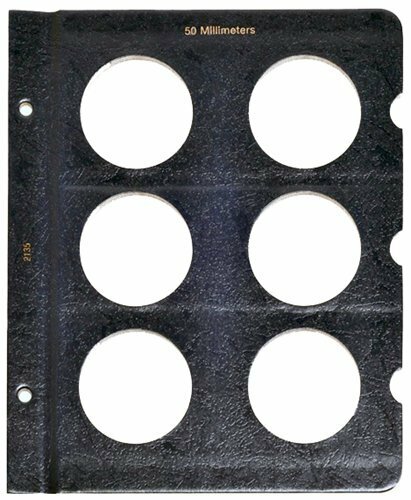 It is a coin album and currency album in one, like a display case for your coin collection. (Coins and currency not included.) Album and pages made in USA. Includes 50 different collectible world coins from 50 countries. 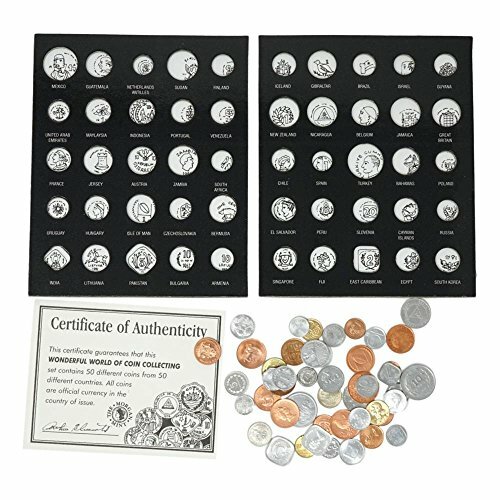 Collection book authenticated by The Morgan Mint LLC Add to your coin collection now! This page is titled "50 Millimeters". All ports are unlabeled and thumb notches are on the side for easy window removal. 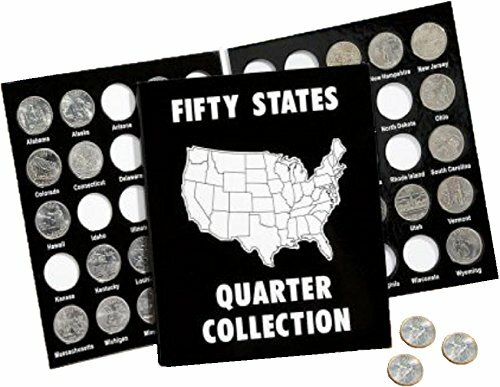 Commemorative State Quarters Albums in black and white stores all 50 state coins from the years 1999-2008. Easy to fill... each slot inside has state name below. Great keepsake for grandkids! Looking for more Album 50 Coin similar ideas? Try to explore these searches: Steel Replacement Balls, Glossy Presentation Folders, and Creative Nail Design Acrylic. Look at latest related video about Album 50 Coin. Shopwizion.com is the smartest way for online shopping: compare prices of leading online shops for best deals around the web. Don't miss TOP Album 50 Coin deals, updated daily.